← On The Eve, Encore! 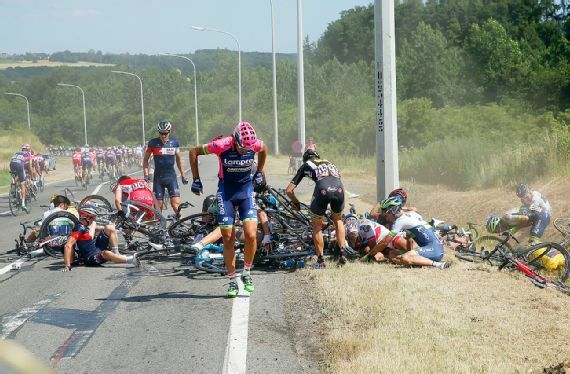 After a record-breaking individual time trial in stage 1 through Utrecht, and following some quickly shifting weather across Holland in stage 2 en route to a sprint finish in Zelande, comes the first dose of heavy carnage in the 102nd Tour de France– this massive high-speed pile-up in stage 3 to the Belgian town of Huy, big enough to halt the entire race for almost 20 minutes! Watch the crash video here.